1116 White St, Ann Arbor, MI - Campus Management, Inc. This attic apartment features new carpeting throughout, built-in shelves, and a private entrance. The apartment also has an entry porch for the resident's use. This house contains a four bedroom apartment and an efficiency apartment. It sits mid block between Arch St. and McKinley St., making it an irresistible choice for U of M hockey fans and athletes. 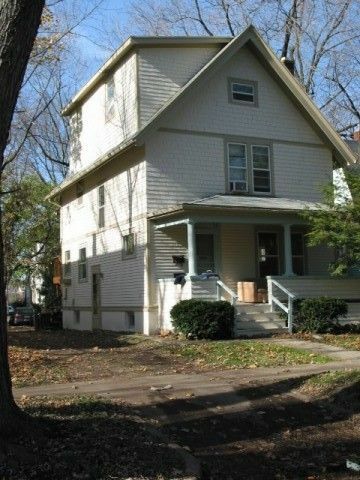 It is within comfortable walking distance to Central Campus and shopping at the Packard/State St. intersection. The house features a large covered front porch and shared laundry.